Vast undisturbed forests stretching from lowlands to montane. Poor access but great rewards for those that try it. One of the best remaining sites to see montane species like laughingthrush in the abundance they should be! Rarely visited and many discoveries still to be made. Roll’s Partridge; Salvadori’s (‘Hoogerwerf’s’) Pheasant; Sumatran Laughingthrush; Sunda Laughingthrush; Rueck’s Blue-Flycatcher, potential for many other Sumatran montane specialities. 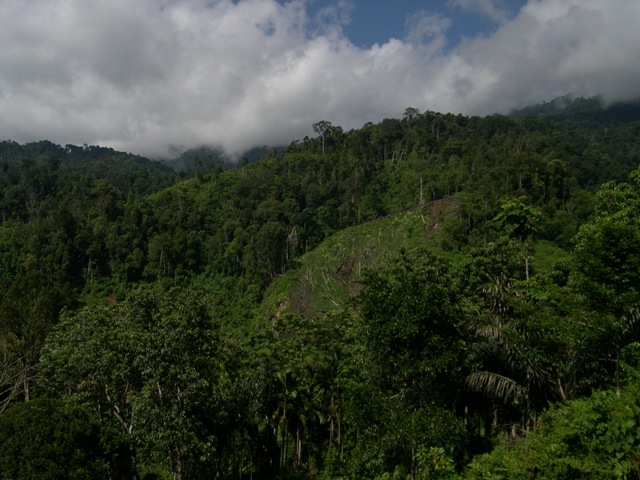 The forests of Gunung Leuser are vast; covering around 3 million ha, including the 1 million ha of Gunung Leuser National Park. Much of this forest lies over 1,000 m and is only accessible on foot. A walk across the widest block of forest would take around 25 days, in primary forest all the way. This is a real wilderness. The area is very much under explored from a birdwatching perspective (in fact, from any perspective!). Several sites are known to be of interest, but really anywhere could be explored. The beautiful Alas Valley stretches north-south across the middle of the park and has a paved road that rises from around 400m to 1,000m before dropping steeply down to the north. Beyond the town of Kutacane the road soon passes close by blocks of forest, and on the slopes above the road the forest proper starts. There are a few good patches of forest alongside the road, particularly near the Orangutan research station of Ketambe where the road starts to rise. The best forest can only be accessed on foot by taking one of many side trails to the east and west., including from the highest point of the road at the village of Agusan. Once into the forest key target species here include Roll’s Partridge (the northern Sumatran split from Gray-breasted Partridge (Arborophila orientalis), Salvadori’s (‘Hoogerwerf’s’) Pheasant, and the elusive and much sought after Sumatran Laughingthrush (G. bicolor). Many of the other Sumatran montane endemics have also been recorded here, and the others are surely just waiting for someone to record them. 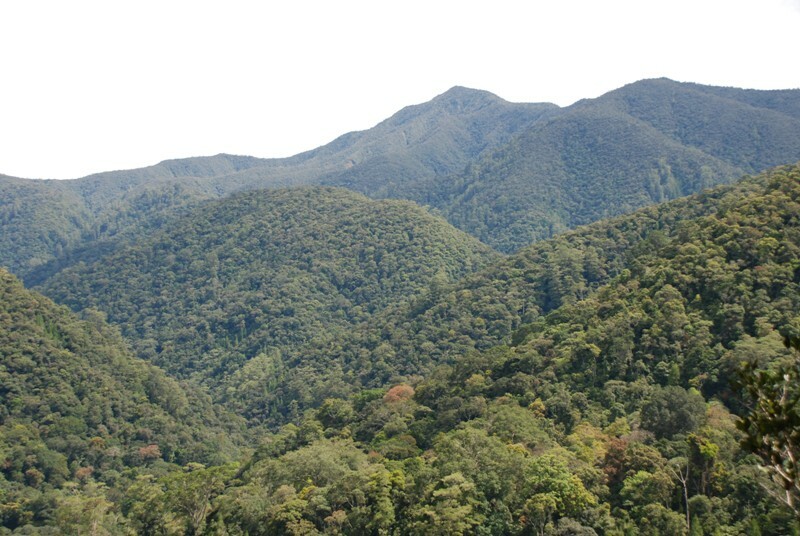 On the eastern side of the Leuser forests is a large area of lowland forest; some degraded, some intact. 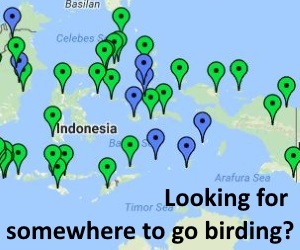 This area is a good place to catch up with many of Sumatra’s lowland species, and is also a potential hunting ground for Rueck’s Blue-Flycatcher being near to the site of the only reported records and at about the right altitude. There are several villages on the edge of the forest and an old research station run by the Leuser International Foundation even closer. This is a popular backpacker tourist destination on the eastern side of Leuser. 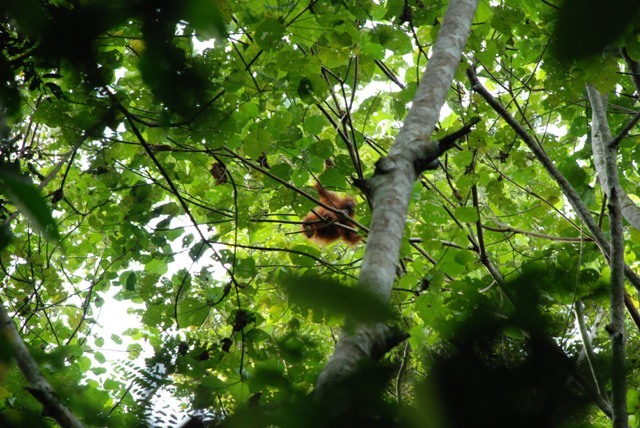 It gives visitors an opportunity to see orangutan easily, and can also be used to access forest areas within the park. 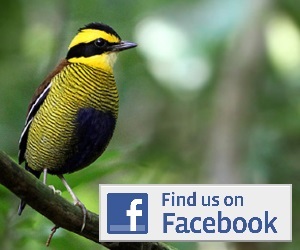 There are numerous local operators that offer ‘jungle treks’ and this would probably be the best way to go birding. If you walk far enough into the park you should be able to encounter many of the montane specialities as found in the Alas Valley. In fact, if you walk far enough, you will end up in the Alas Valley! The Alas Valley is best reached via Medan, and a long 10 hour drive to Kutacane by bus, taxi or hire car. A hire car can be arranged from any hotel in Medan. There are several simple hotels in Kutacane or better still there are a number of small guesthouses near Ketambe. These guesthouses can usually arrange visits into the forest including guides and all required camping equipment. 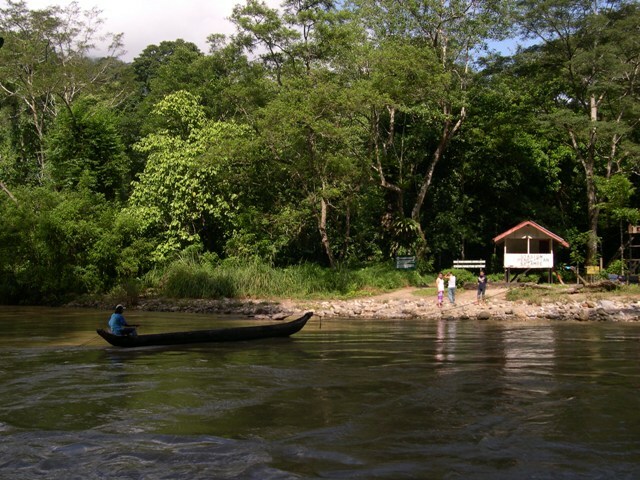 For Bukit Lawang simply take a bus or taxi from Medan for the 2 hour drive to Bukit Lawang. There you will find a vast array of small guesthouses willing to accommodate you. For Arisnapal things are a bit more tricky. There are no guesthouses we know of, but you could simply turn up in any local village and ask about accommodation. Alternatively you could try and contact the Leuser International Foundation (www.leuserfoundation.org) and ask about the possibility of accommodation at the Arisnapal Research Station. To visit the National Park you need permission from the park office. 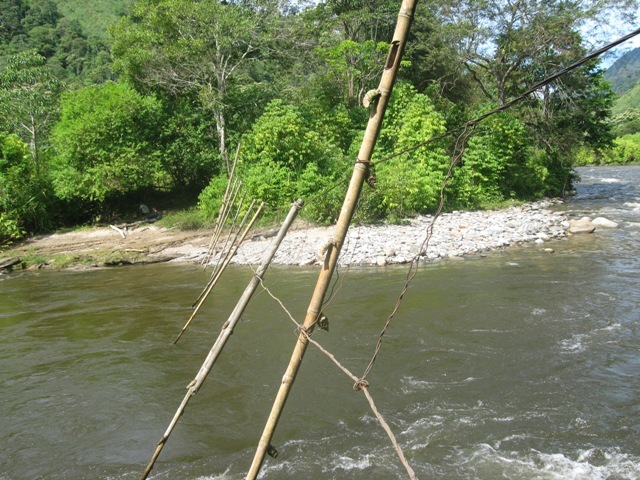 If you are staying at the guesthouses near Ketambe, or in Bukit Lawang, your hosts can help you arrange this. Alternatively you would need to visit the park office in Kutacane or Medan. Note: there are many wild tigers and elephants in Leuser so you should be aware of the risks of both of these when out birding. Take a local guide and follow their advice, and read the advice here.